Depending on what kind of social circles you are part of, it can be a well-known or little-known fact that gaming and professional graphics cards use much of the same hardware. NVIDIA did its best to make it impossible to “persuade” a system that a GeForce GTX card is actually a Quadro, or vice versa. The same with the more recent Tesla series. 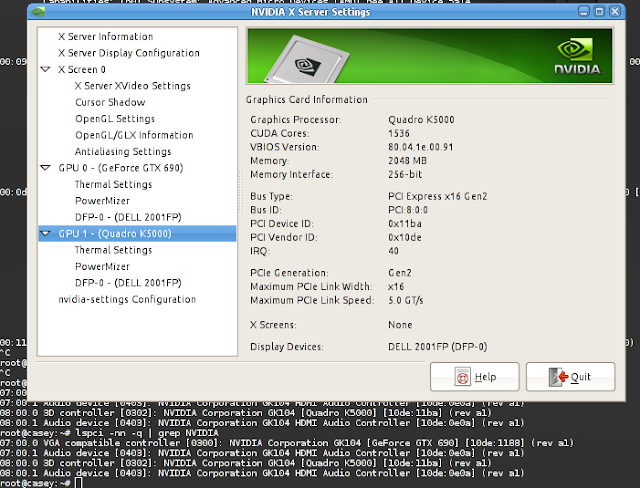 Nevertheless, where there is a will, there is a way, and EEVblog forum member “gnif” has the way. 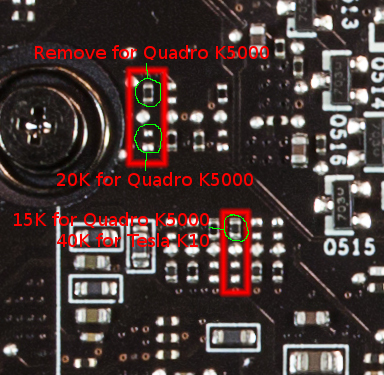 Long story short, by changing a pair of tiny components on the PCB (called SMDs), you can turn, say, a GeForce GTX 690 into a Quadro K5000. This is convenient because the GTX 690 is almost $1,000 / 1,000 Euro cheaper than Quadro K5000, and yet Quadro K5000 has just one GPU and runs 25-30% slower than the gaming card. Which is somewhat ridiculous. Quadro K5000 only has Mosaic support as an advantage: allows up to 3 screens in 2d to run well under OSes besides Windows (Linux is popular with businesses). 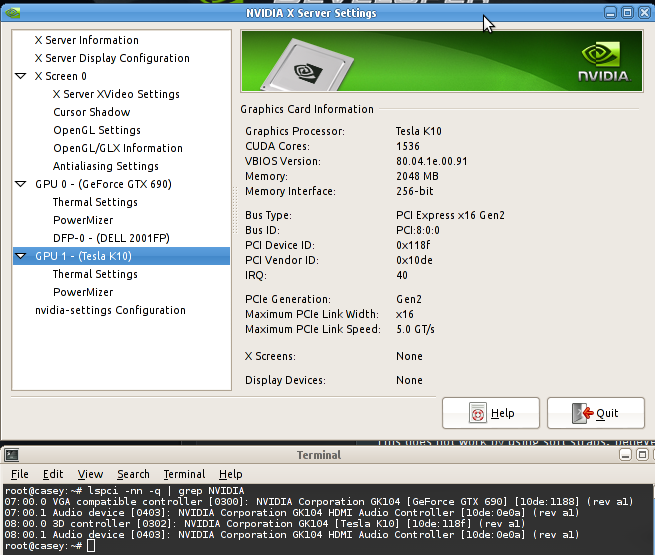 Follow the link above to see how to transform a GTX 690 into a dual-GPU, stronger version of Quadro K5000.